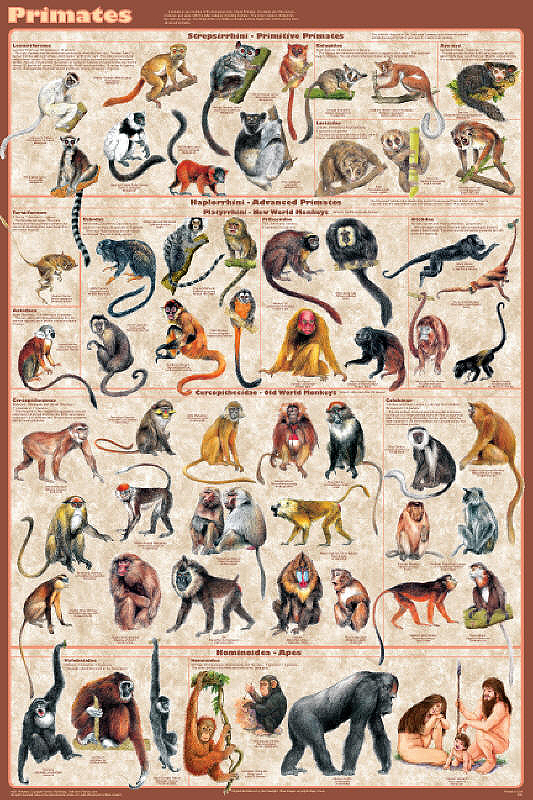 This poster presents all of the families in the Primates order. They include the lemurs, tarsiers, monkeys and apes. Most live in tropical or subtropical regions of the Americas, Africa and Asia. Fossil evidence indicates that Plesiadapis may have been their ancient ancestor. 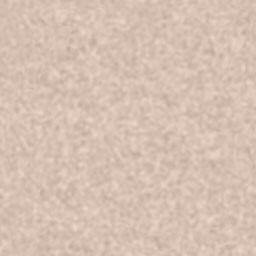 It looked somewhat like a squirrel, and lived in North America and Europe around 55 million years ago. Scientists have long recognized that the animals in this group are still evolving. This is reflected in the classification system that divides the order / clade into two groups. (1) The primitive Prosimians have physical characteristics found in the earliest known species. This group includes the lemurs, lorisiforms, Aye-aye and tarsiers. (2). The more advanced Simians include the monkeys and apes.